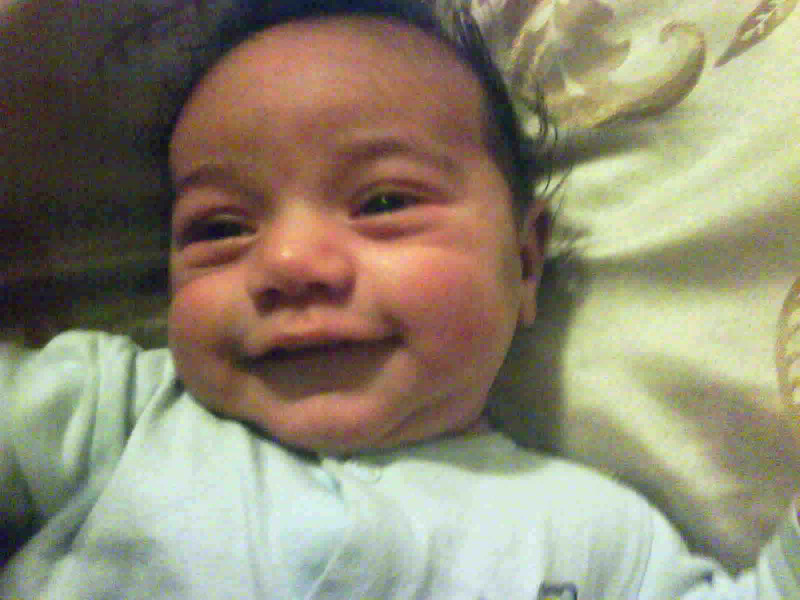 I have decided baby smiles are a gift from God. A gift for tired Mamas. It doesn’t matter if some say they are brought on by gas. They are precious. I was fortunate enough to at least have my cell phone nearby to get these pictures. Priceless! He sure does make gas look good. What an adorable baby! Ok…. feeling really bad here because I didn’t know you had another baby!!! How did I miss this??? Didn’t I just see you at the Felmleys? How did I miss that you were pregnant? Love it! Oliver is so adorable!